VNHS | Laptop Giveaway: Supporting a Local Indigenous Student on their Post-Secondary Journey! Laptop Giveaway: Supporting a Local Indigenous Student on their Post-Secondary Journey! 07 Aug Laptop Giveaway: Supporting a Local Indigenous Student on their Post-Secondary Journey! 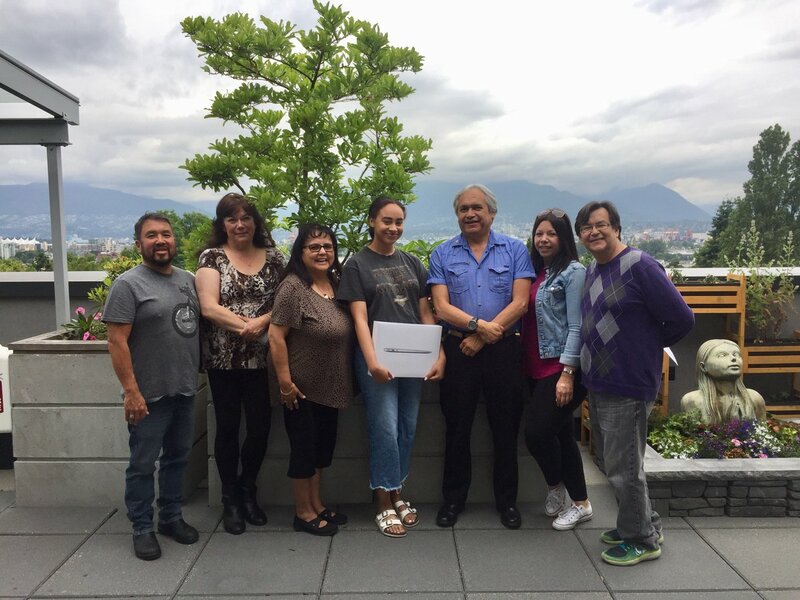 Every year VNHS is proud to give away a brand new laptop to a local Indigenous high school graduate to help them on starting their journey through post-secondary education. This year our Board of Directors was excited to give a new Macbook Air away to Khaila! Khaila is an Indigenous high school graduate from Vancouver Technical Secondary School, and will be moving down to California in September to study an Arts degree in Fashion. Moving forward, Khaila hopes to incorporate her heritage and cultures into her fashion studies. We are proud to be able to support young Indigenous students pursuing post-secondary education, and look forward to all of the amazing things Khaila will achieve and experience! We hold our hands up. Congrats Khaila!